You can help with the Ada Initiative’s work, which is funded by our generous donors and sponsors. You can make a difference for women in open tech and culture: support us by making a donation or becoming a sponsor today! The Ada Initiative made a major splash in the hacker community in August, calling for widespread adoption of anti-harassment policies. We’re excited at the response, with hacker con BruCON adopting an anti-harassment policy within days of our call. We’re also pleased to be able to finally share the video of Mary Gardiner’s Wikimania 2012 keynote, “Fostering diversity”, with you. To all our donors and supporters: thank you for your support in August, making all this possible! This weekend was DEFCON 20, the largest and most famous hacker conference in the world. I didnt go to DEFCON because Im a woman, and I dont like it when strangers grab my crotch. Were waiting to hear about the first hacker conference to adopt a specific, enforceable, well-planned policy protecting women from harassment â€“ and then were going to promote the hell out of it. Valerie’s post had an enormous response: it has been viewed on our page nearly 50 000 times by nearly 40 000 unique visitors. The article was featured in BlogHer, LWN, Hacker News, Slashdot, Schneier on Security, io9, and more. As we are growing we will gradually lose control about who attends our conference and how they behave themselves. The social fabric” that is woven reasonably tightly right now will loosen and if that ever happens to a degree where people see opportunity to harass others, we want to have a formal policy that is enforceable. We have that now. Being inclusive is at the core value of BruCON and while there doesnt seem to be an immediate need to adopt such a policy, I think it emphasizes the spirit of BruCON extremely well. It doesnt matter who or what you are, if you come to share knowledge, you have a spot at BruCON. Help make your event a safer space! The Ada Initiative anti-harassment program has developed loads of resources for you to adopt anti-harassment policies at your event! If you would like to encourage events to adopt anti-harassment policies, please see the many ways you can support anti-harassment policies. We’d love your help making Mary’s talk more accessible by subtitling it in Amara! Mary wrote several pages for the Geek Feminism Wiki in August. In addition to developing a page of actions in support of anti-harassment policies, she developed two pages about the problematic focus of some geek outreach initiatives on young girls, rather than women: Pipeline and Let’s help the girls. She also extensively documented the ableist fallacy present in geek communities that harassment is disproportionately perpetrated by neurodiverse people. Valerie hosted the second successful Ada Initiative meetup, in Mountain View California on August 1. Thanks to everyone who came along. Please join our announcement mailing list for news of future Ada Initiative events. We welcomed Liz Henry to our advisory board in August: Liz is a writer, editor, and public speaker, concentrating on the intersection between hacker culture, popular culture, feminism and social justice. 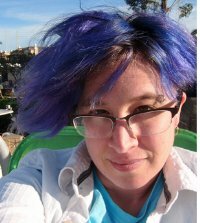 She contributes as a writer and developer to Geekfeminism.org, the FeministSF blog and wiki, the Organization for Transformative Works, and Noisebridge, a hackerspace in San Francisco. She recently edited The WisCon Chronicles: Carnival of Feminist Science Fiction, and her latest book is Unruly Islands, a collection of technoutopian anarchafeminist poems. You can find her online writing at Bookmaniac.org, and on Twitter as @lizhenry. We’re so excited to have Liz generously share her long experiences with feminist community organizing with us! 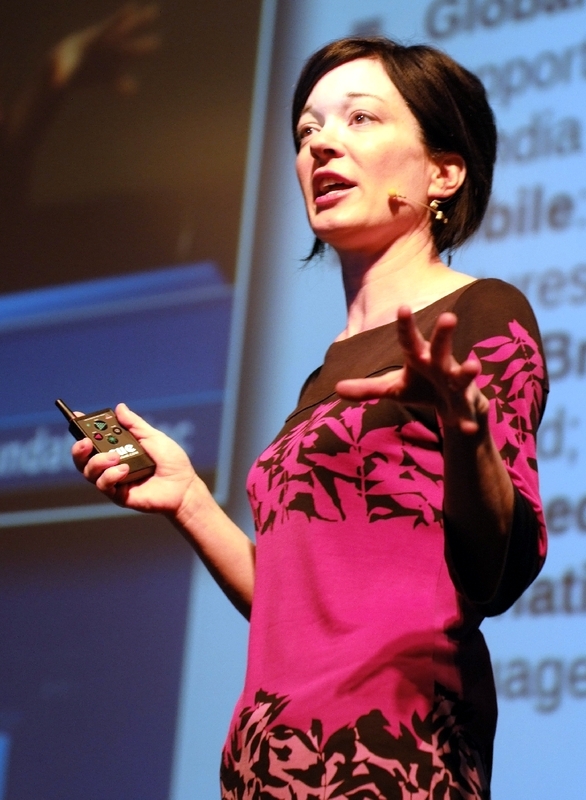 Congratulations to Ada Initiative board member and advisor Sue Gardner: in Sue’s role as Executive Director of the Wikimedia Foundation, she was named 70th most powerful woman in the world in the Forbes magazine listing. She also gave an extended interview to Forbes, including discussion of Wikipedia editor diversity. Ada Initiative advisor and Consulting Director of Development Selena Deckelmann gave a keynote address at FrOSCon (Free and Open Source Software Conference) in Germany: Mistakes were Made: Education Edition. Selena spoke about the disconnect between secondary computing education and open source software. Ada Initiative advisor Karen Sandler, Executive Director of the GNOME Foundation, was featured in an interview with Google’s Open Source Programs Office. Read excerpts about the GNOME Women’s Outreach Program and about AdaCamp Melbourne and the Ada Initiative. This entry was posted in Ada Initiative news, Ada Initiative projects, Anti-harassment policy and tagged supporter newsletter on September 14, 2012 by Mary Gardiner.